Who are the best 5 American-born NHL players of all-time? Each person's list is likely different, but I am sure many will have some similarities. My list in no particular order is: Mike Modano, Chris Chelios, Pat Lafontaine, Brian Leetch and Jeremy Roenick. If I were to include goalies too, I would need to consider Frank Brimsek and Mike Richter. Jeremy Roenick certainly is one of the best American-born hockey players of all-time and is one of the most memorable players from that list both ON and OFF the ice. He was never afraid to speak his mind and often his mouth was moving even when it was broken! But that is partially what I loved about him. He in some respects was Don Cherry with much more skill. The other reason I was a huge fan of Roenick is the way he played the game. He was running at 100% from the beginning to end of each shift and he used every inch and every pound of his body to play the game. I have always believed that a player with that approach is far more valuable to a team than one that takes shifts off here and there, or never gives you their full effort (we can all name a player or two like that). Roenick certainly had his highs and lows throughout his career, with a one high being able to play in the Stanley Cup finals at the age of 22. He would never get back to the Cup finals again, but that didn't stop him from making an impact during the regular and post-season with the teams he played for. Roenick played in 20 NHL seasons and he made the post-season in 17 of them. Currently, there are only 4 American-born NHL players with at least 500 goals and his 513 career goals are good enough for 3rd highest by an American-born player. 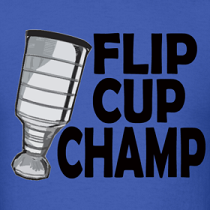 His NHLPA Hockey '93 abilities rank him as the 4th best videogame athlete in history according to IGN (Behind 1. Mike Tyson, 2. Bo Jackson and 3. Michael Vick) and earned him praise in the movie Swingers. But I think I will best remember him for his clever interviews and his on-ice antics. In fact, I am sure somewhere Roenick is credited with creating Battle of the Blades. I was a little ambitious with my letter and I mailed 3 cards along to get autographed. The main reason was I couldn't decide which two to send so I sent three! All three come from his rookie year, but only two are considered rookie cards because the All-Star card comes from the same set as the other Upper Deck card. This is the first autographed card I wanted to send, and is considered his most valuable rookie card. The book value is around 5 bucks and one reason for the low value is EVERY single set made in 90-91 had a Roenick rookie card in them. This card is pretty cool and is what I think of when I think of a Roenick rookie. Certainly my favourite of the three cards but in terms of unautographed value the card only books for about $1.50, but the memories of this card in my life are much more valuable. This last card was one featuring Roenick at his first All-Star game and is by far the least valuable of the lot. It books for about 40 cents, but like the other two have much more meaning to me now that they are autographed and I certainly plan on holding on to these three cards for a very long time. I certainly want to thank Jeremy Roenick for signing all three cards for me and if anyone is interested in writing him, he has tweeted his address before and is always kind enough to sign for fans. He is pretty busy and gets lots of requests so please expect at least a 6 month turn-around time. That is how long mine took to return. Next week, the NEXT post. I stil play NHL 93 every summer up at my buddies cottage. 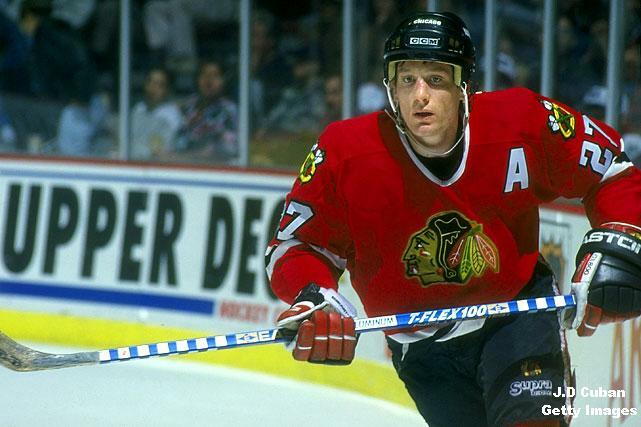 Nobody is allowed to use Chicago though, because Roenick so freakin good in that game. Love JR, except his game winner in the playoffs against the Leafs.